You may remember Michael Gould from our recent smash-hit “superbly acted” 🌟🌟🌟🌟🌟(Metro) A View from the Bridge. Now he’s back playing Theseus/Oberon in Joe Hill Gibbins’ dark and nightmarish take on Shakespeare’s tale of betrayal and desire, A Midsummer Night’s Dream. Describe your character in A Midsummer Night’s Dream in three emojis? What’s it been like working with Joe Hill-Gibbins? Which Dream character would you pick as your Valentine ❤ and why? I would pick Cupid, just to get his take on the whole Valentine thing, I know it is a busy day for him but it would be great to chat. What was it that first got you interested in the theatre? Believe it or not, a Young Vic production of Troilus and Cressida in 1975 (or so). I didn’t understand everything but the staging and the words were thrilling! A View From the Bridge at The Young Vic. You’re hosting a dinner party. Who are your 3 dream guests? Don’t be sad, it is a long time ago but my Dad died on Christmas day. That night I dreamt he hitched a ride in Santa’s sleigh, asking to be dropped off at a resting place in the sky! If you hadn’t become an actor, what job would you be doing now? Teaching has always appealed. I have done a bit and I always enjoy it. Who is your ultimate hero and why? I am not really a hero kind of person. I think we are a little bit too obsessed by individual glory. I admire great teams, so the 2016 Hockey team I would say are my heroes (currently) and, of course, the glorious ensemble company that is the A Midsummer Night’s Dream Team. Very happy to be able to inhabit Oberon’s Invisibility at the moment, I hear some great gossip and I can influence events in a truly intriguing way. On this show probably having a wee as we are going to be on stage throughout. I did the same on A View From The Bridge and I should probably list “bladder control” as a special skill on my CV. 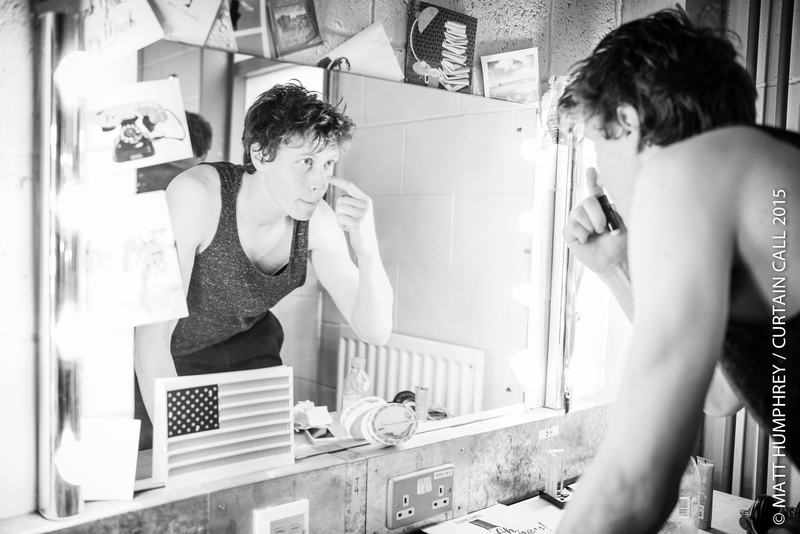 Our good friends at Curtain Call took some stunning backstage photography of our recent YV productions and we’re excited to share some of the photos with you. Curtain Call was founded by John Schwab and Matt Humphrey and together they are producing a book that will feature exclusive backstage photography of shows throughout London theatre from a unique perspective. Take a look below for a glimpse into the unseen and intimate moments from some of your favourite shows. 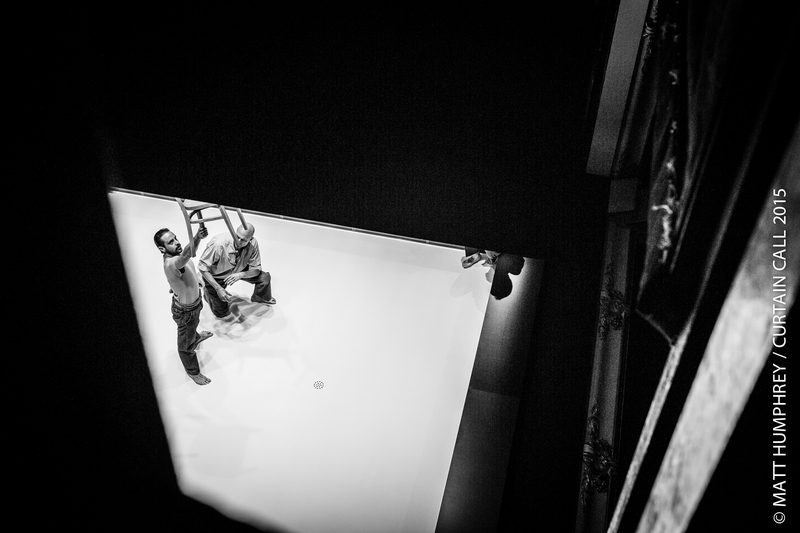 Emun Elliott & Mark Strong in A View from the Bridge at Wyndham’s Theatre. 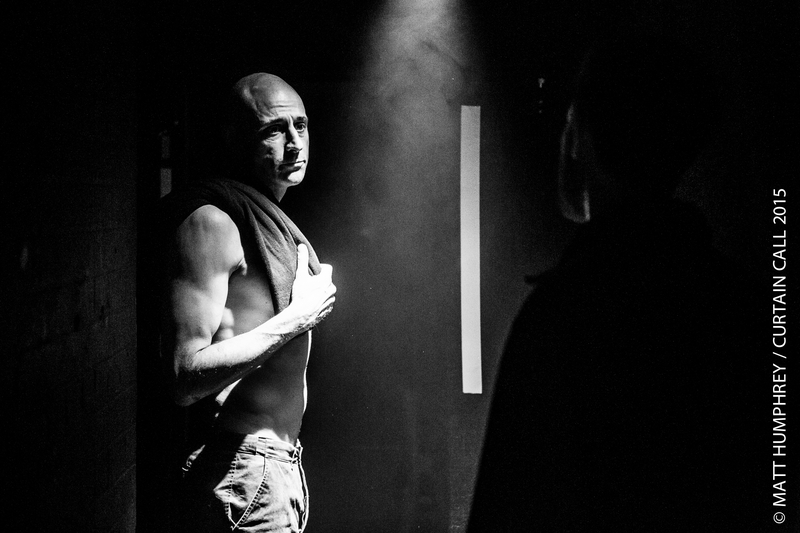 Mark Strong in A View from the Bridge at Wyndham’s Theatre. 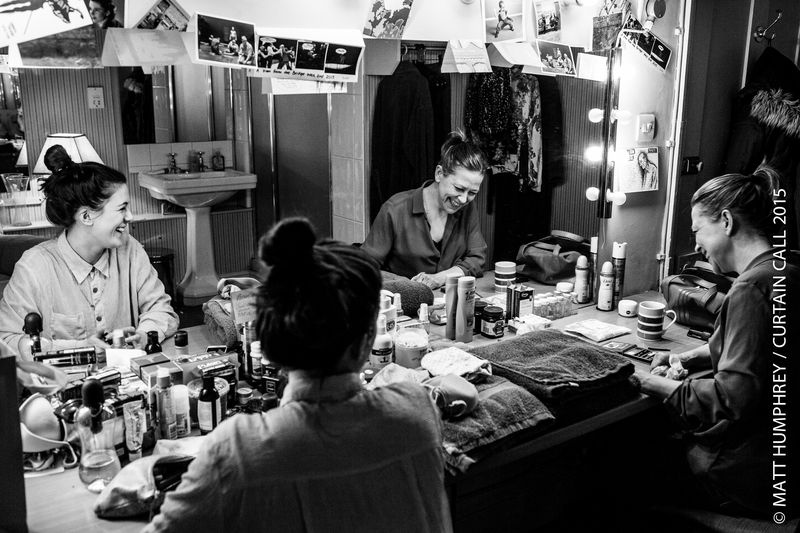 Phoebe Fox & Nicola Walker in A View from the Bridge at Wyndham’s Theatre. 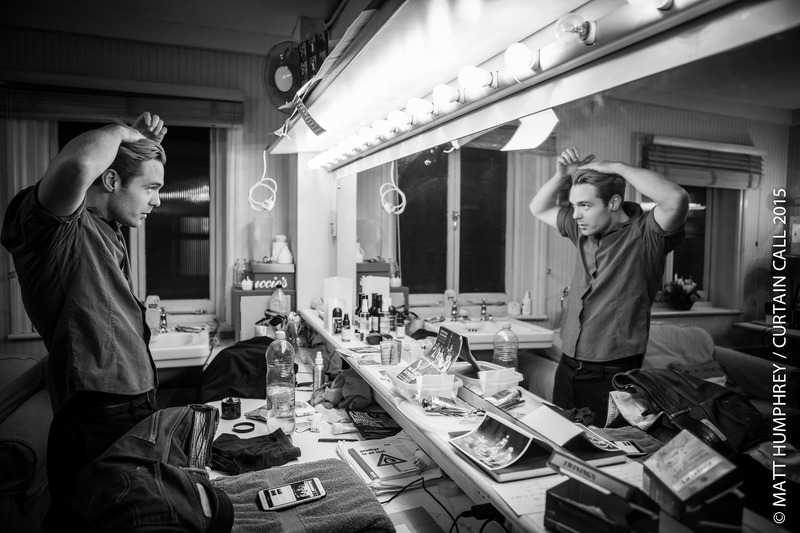 Luke Norris in A View from the Bridge at Wyndham’s Theatre. 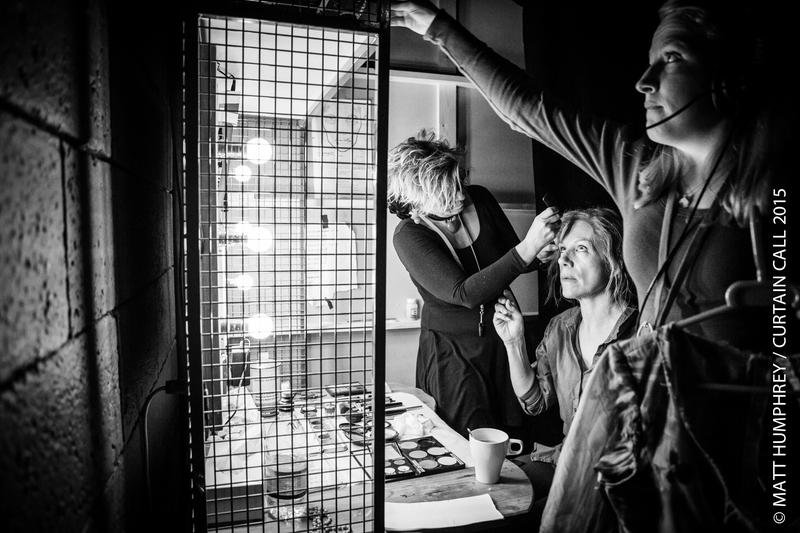 Juliet Stevenson (centre) in Happy Days at the Young Vic. 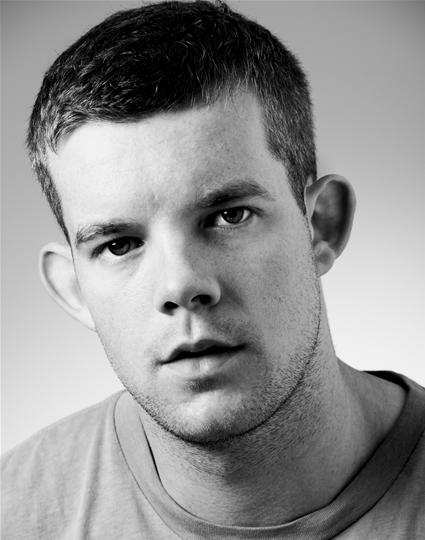 David Beames in Happy Days at the Young Vic. George MacKay in Ah, Wilderness! at the Young Vic. Susannah Wise in Ah, Wilderness! at the Young Vic. Janie Dee in Ah, Wilderness! at the Young Vic. Head over to www.curtaincallonline.com to see more of their work. 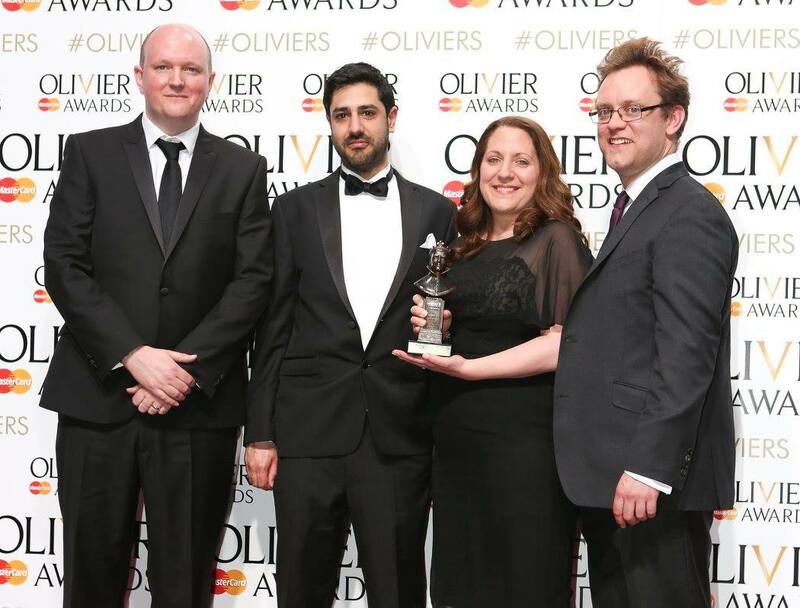 We are delighted and honoured to have won four Olivier Awards at this year’s ceremony. Our hit production of Arthur Miller’s A View from the Bridge bagged three prizes; Best Revival, Best Actor for Mark Strong and Best Director for Ivo van Hove, while Bull, a co-production with Supporting Wall, took home the award for Outstanding Achievement in Affiliate Theatre. 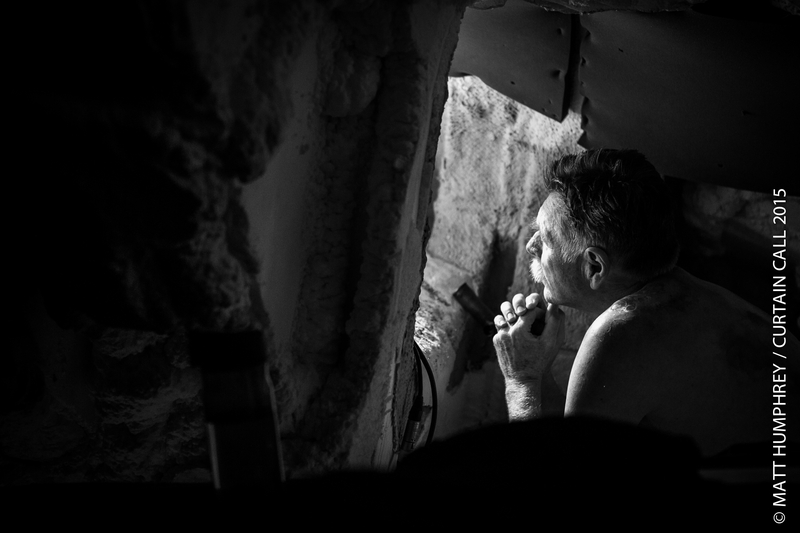 Check out some behind the scenes snaps below. Young Vic Artistic Director David Lan with Executive Director Lucy Woollatt on the red carpet and Ivo van Hove and David Lan chatting to press after collecting the award for Best Revival. Mark Strong accepting his award for Best Actor and three of our four Olivier awards post ceremony. Mike Bartlett, Ben Monks, Clare Lizzimore and Sam Troughton – the Bull team with their Outstanding Achievement in Affiliate Theatre award. For more behind the scenes photos from the night, have a flick through the album on Facebook and to read more about the Oliviers and all of this year’s winners, click here. A View from the Bridge was broadcast live to cinemas on 26 March by NT Live. There’s still a chance to catch it with encore screenings taking place at venues around the world for a limited time. For tickets and info, click here.